Chew Xiang is a partner in the Firm’s Restructuring & Insolvency practice group. He was formerly a journalist and served as a Justices’ Law Clerk before joining Rajah & Tann Singapore LLP in 2015. 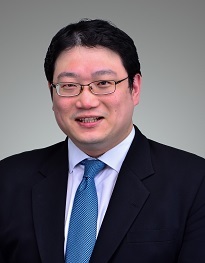 Chew Xiang has experience in a range of commercial disputes, shareholder fights, and contentious restructuring and insolvency matters. He was placed on the Supreme Court’s Young Amicus Curiae Scheme in 2017. Acted for a Singapore-listed company against former directors for breach of fiduciary duties, diversion of business opportunities, and secret profits. Acted for a securities brokerage in a claim against a securities trading customer for multi-million dollar contra losses. Acted for the estate of a Singapore politician in an application for determination of rights under an interview agreement. Acted for the management council of an industrial property against a subsidiary proprietor for defamation. Acted for a solar energy company in an action against a competitor for defamation and conspiracy. Acted for a multinational rubber company against its joint venture company in a multi-jurisdictional dispute. Acted for a golf club in an appeal against a compensation award arising from an acquisition under the Land Acquisition Act. Acted for the Singapore subsidiary of a Shanghai-listed company in a claim against a former director for breach of fiduciary duties. Acted for a creditor in a successful contest against a scheme of application filed by a shipping company. Acted for the Singapore subsidiaries of a foreign listed construction conglomerate in applications for schemes of arrangement and subsequently judicial management. Acted for a Singapore-listed furnishings company in a members’ scheme of arrangement as part of the privatisation of the company. Acted for a Singapore company listed on NASDAQ in a members’ scheme of arrangement as part of the acquisition of the company. Acted for a Singapore-listed marine and offshore services provider in applications for schemes of arrangement. Acted for judicial managers of a Singapore-listed marine and offshore services company. Acted for liquidators of a Cayman islands company in relation to a fraud claim and injunctive relief against its former directors and controllers.